Please note that we will be closed from close of business December 24th and reopen again at 9am January 2nd. With the best wishes for the festive season. Horn Australia Christmas sale on now. Save big on Sewing machines, Overlocker and selected accessories and feet. We have used 26 Bernina model 350 at the Australian Machine Quilting Festival last week and can now offer them for sale with a massive savings of $600.00 of the recommended retail price, you pay only $1699.00. These machines come with a new machine warranty of 10 years on mechanical and 5 electrical components. Strictly limited quantities available. After 4 decades of manufacture Bernina has decided to discontinue the production of the very successful Bernina 1000 series. During that time thousands of the series from 1005 to the current 1008 this model range has proved particularly durable in hundreds of school. A special price is being offered, especially of interest to schools, stocks are strictly limited. 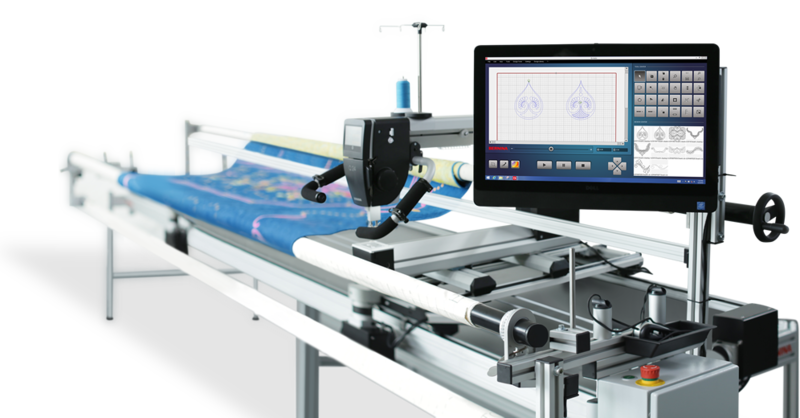 See the Bernina Q24 with Q-matic automated Quilting system demonstrated daily. It’s the only Major Quilt & Craft Fair in SA this year.